Many people already know the many benefits associated with using aloe vera. 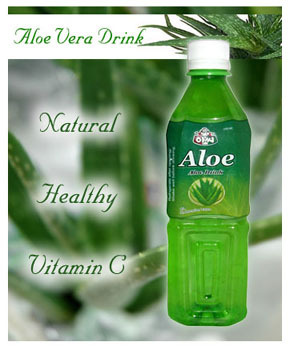 Not as many people are aware of the health benefits associated with consuming aloe vera juice. All of the nutrients in aloe vera juice are perfectly balanced in a way that is ideal for the body in terms of healing and repair. Although it is not a miracle cure, it contains enough nutrition to significantly help with healing the body, as well as provide other benefits. Aloe vera juice can be a great natural option for detoxing. Because of the way we live including stress, pollution and junk food, we need to occasionally cleanse our systems. Aloe vera juice is an ideal way to do this because it contains many trace elements, vitamins and minerals that can help the body deal with daily stresses and strains. A healthy digestion system is necessary to ensure that we are able to absorb all of the nutrients found in our food. In addition to its natural detoxifying abilities, aloe vera juice can increase protein absorption and improve bowel regularity. It can also reduce the quantity of unfriendly yeast and bacteria found in our gut. It can also soothe and reduce digestive problems such as heartburn. Aloe vera juice contains many antioxidants which fight the free radicals found in our bodies. Free radicals are unstable compounds that are a side-effect of metabolism and contribute the process of aging as well as cause various ailments. Therefore when you drink aloe vera juice on a regular basis, your body will have the antioxidants it needs to fight these free radicals and boost your immune system. This juice has 12 different substances which are able to reduce and prevent inflammation, all without the risk of side-effects. It can even help with swollen, stiff or painful joints. Aloe vera juice can help repair your collagen and elastin, giving you healthy skin. Our skin replaces itself each 28 days or so and when we have nutritional building blocks from aloe vera, our skin is able to use these nutrients each day to help fight aging. It can also help sooth minor skin irritations, scrapes, cuts and burns. When we drink aloe vera juice, the body can naturally cleanse its digestive system. Because our diets have many parts that can lead to exhaustion or fatigue, having aloe vera regularly can fight this. That means that aloe vera juice will give you a better feeling of well-being, help you keep a body weight that is healthy and increase energy levels. Every day our body needs to ingest several vitamin and minerals and aloe vera juice contains a great deal of these. It includes vitamin A, vitamin B1, vitamin B2, vitamin B6, vitamin B12, vitamin C, vitamin E, niacin and folic acid. In addition to these, it also contains chromium, magnesium, manganese, zinc, copper, potassium, iron, sodium, calcium and others. Our body needs 20 different amino acids in order to build protein and it is not able to produce 8 of them itself. Because aloe vera juice contains 7 of these essential amino acids and 19 amino acids in total, it is able to easily fulfill your body’s daily needs. Aloe vera juice can also help your gums and mouth. It not only provides natural anti-microbial and anti-bacterial actions but it also contains several vitamins and minerals that promote cell healing and growth. Because of this you will find some tooth gels that contain pure aloe vera, especially to help with mouth ulcers and bleeding gums. Disease is not able to happen in environments that are alkaline. In general, people will consume foods that are mostly acidic but the ideal is the 80/20 rule which says you should consume 80% of alkaline forming foods and 20% of acidic ones. Because aloe vera juice is one of the alkaline forming foods, it can help alkalize the body and balance out the acidity in our diets. Some research has shown that when doctors inject aloe vera extract into the blood, it drastically multiplies the diffusion abilities of red blood cells as well as the oxygen transportation. It contains nutrients that can regulate blood pressure, improve blood oxidation and circulation, lower cholesterol and make blood less sticky. In her book “Herbal Medicines” Joanne Barnes recommends that children over age 10 and adults have aloe vera juice three times each day in a dose of between 50 and 200 milligrams. She does point out that using it as a laxative is not recommended for over two weeks. Because aloe vera juice contains anthraquinones, it can increase your risk of having diarrhea if you consume large quantities. This diarrhea can be severe and include dehydration, stomach cramps and pain. Because of the stimulant laxatives that can be found in aloe vera juice, there may be an electrolyte imbalance or dehydration if you take the juice frequently. This decrease in potassium levels can lead to irregular heartbeats and weakness. Aloe vera juice can interact negatively with medications, both over-the-counter and prescription especially stimulant laxatives, anti-diabetes drubs, diuretic drugs and sevoflurane (which is used for anesthesia). During pregnancy, you should limit your consumption of aloe vera juice due to its purgative and irritant properties. It should not be consumed while breastfeeding as it can cause severe diarrhea for the baby.